A 60m x 60m all weather Andrews Bowen Ltd waxed sand outdoor floodlit arena. During the summer a full set of show jumps are set up in 1 half of the arena with the 2nd half being available for flat work. 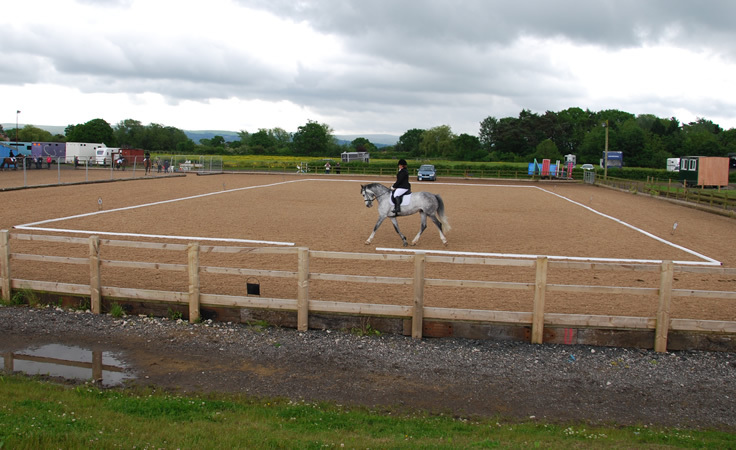 Regular Affiliated and Unaffiliated show jumping events and Dressage competitions held.